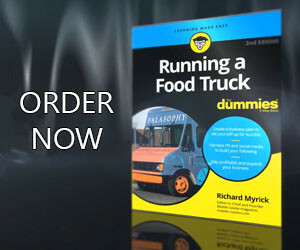 Many food truck restaurants are as popular as the trucks that started them. Over the last two weeks we’ve been asking our readers to submit their favorites. With nearly 300 submissions, we are proud to announce our Top 10 and opening up part two our 2019 Food Truck Restaurant Of The Year contest. We received votes from around the World, but for the 2019 Food Truck Restaurant of the Year we could only select the restaurants with the 10 most votes submitted. We will be running this poll for the next two weeks and will close it out on Friday, March 29th at 7:59 PM Eastern Time. The winning food truck restaurant will hold the title of Best Food Truck Restaurant for 2019. You can vote for your favorite for the 2019 Food Truck Restaurant Of The Year daily !!! This poll is closed. Check back next week to find out the results. We are using polling software that allows voters to submit a vote once a day, every day the poll is active. If you run into any issues with the software, please let us know immediately so we can make any corrections. This poll will close on Friday, March 29th, 2019 at 7:59 PM Eastern Time. The restaurant with the most votes from this poll will be declared our winner.If you have any issues with submitting your vote (only 1 per IP address per day) please feel free to submit your vote to contest [at] mobile-cuisine [dot] com. So spread the word, and help your favorite lay claim to the title of the 2019 Food Truck Restaurant of the Year.